On the 27th of February, Christalla and I left the bright and sunny city of Cape Town. After two long flights, we landed in New York in the middle of a snowstorm. We spent our first night with family in Mount Vernon, New York. Where we were thoroughly spoilt and cared for by Lucy and Mino (Nicole’s mom and step-dad). From there we drove up to Mount Carmel and spent the weekend with Andrew and Angela Columbia. 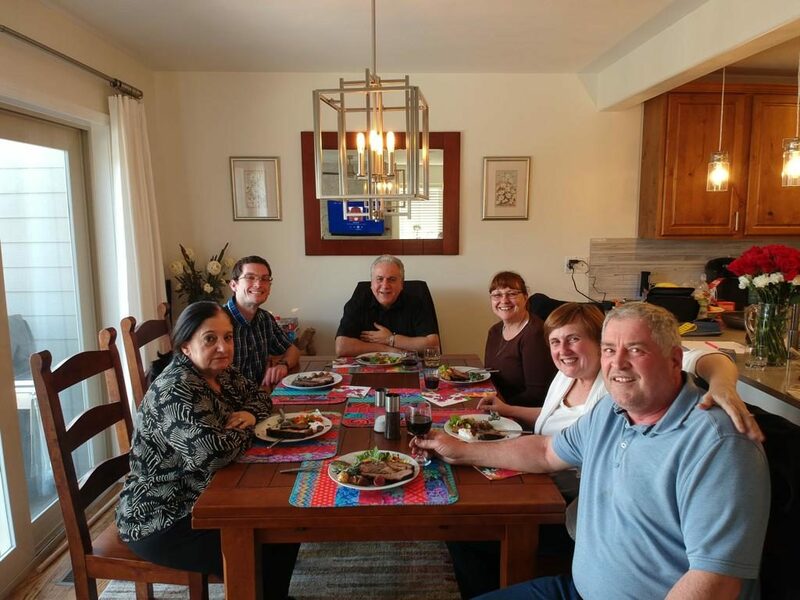 We had a great time reconnecting and it was a real joy to see them prosper, both in their relationship, as well as in their local church ministry. The MCB Church has experienced a spiritual resurrection and has grown tremendously since I was there last year. Andrew is in his element, always on the go, creating waves in the local community. I ministered on Sunday morning and facilitated leadership training in the afternoon. Folks came out and both services were well attended, despite the heavy snow. Monday morning started early with Andrew shovelling his driveway at 2:30, so he could take us to the airport. For us seeing snow was a treat, but for the local residents, it’s a nightmare just to get out of their houses. We were cautioned that our flight to Tampa might be delayed or worse cancelled due to heavy snow, but somehow, thank the Lord we took off on time and landed safely at Tampa International. Marion was waiting and took us to Anna’s place for a time of rest before our next outreach on the weekend. During the next three days, however, I fought a real battle to stay on my feet. I was running a high fever, my body ached, my chest congested and my voice almost gone. For over 30 years I have never cancelled a speaking engagement due to illness and I was not going to start now. 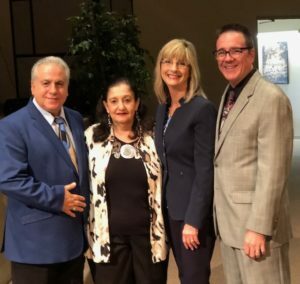 That weekend we were due to minister at Freedom Christian Center in Viera (on the East Coast of Florida) which is led by the lovely pastoral couple, Tim and Kelly Franklin. I prayed and sent out an urgent request for others to join me in prayer and fight this attack. By Friday morning, I managed to find the strength to get out of bed, get dressed and get in the car and be on our way. I went by faith trusting in the Lord that by the time I was due to speak I would be completely healed. My faith was severely challenged and I had to live what I preach – that is walking by faith and not by feelings! Marion graciously offered to drive us there and her whole team (Mike, Gail, and Joanne) came to support us. They were a great help, looking after the ministry’s book table during the course of the weekend. Thank you, team! 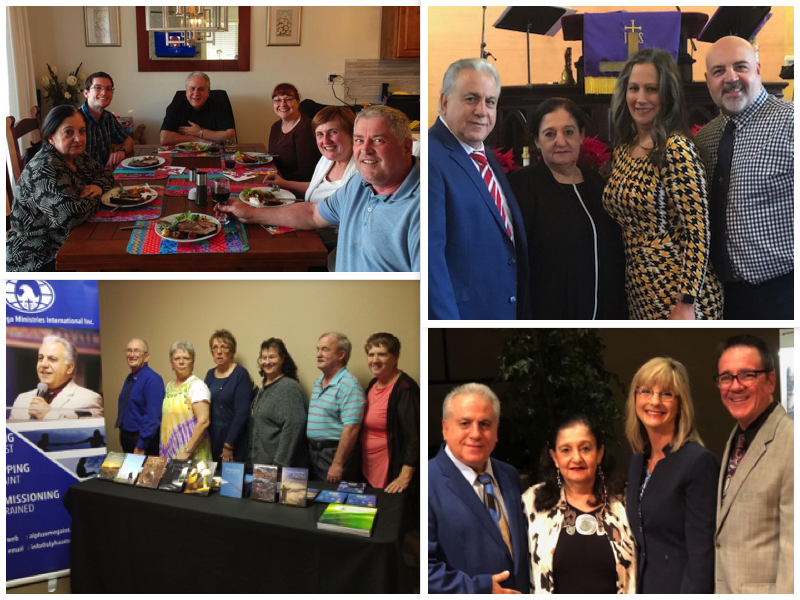 Overall we had a great weekend of fellowship and ministry with Tim and Kelly who have been such wonderful hosts. It is truly an honour to walk with people who share the same heart and values in the Lord. We definitely sense the Lord working and bonding us together in a loving relationship. Thank you, Tim and Kelly, for your heart and labour of love towards the saints. (Hebrews 6:10). We had a wonderful weekend with Andreas and Christalla. The greatest pleasure is always having them in our home and the beautiful fellowship we experience. The theme of the weekend was Greatness Through Process. The “red flag” for the weekend was a quote from Myles Monroe, “The richest places on earth are the cemeteries because so many die with their treasure still in them. 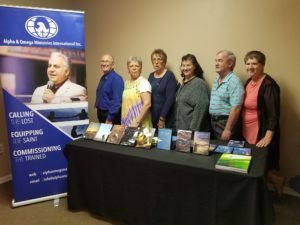 The treasure that God put in them, His greatness.” From there, Andreas laid out a clear pathway to releasing the grace that God has so richly deposited in us. That greatness begins with us, as believers, to be authentic. Greatness is found in what we are authorized to do in the Lord. And greatness is found in serving another man’s vision. These basic principles were like laser-guided weapons in the spirit to our hearts. Dismantling deceptions and restoring truth to the inward parts that we might aspire to more in Christ Jesus! Thank you, Andreas, for making such a wonderful deposit in Freedom Christian Center and in Kelly and my life! You are a treasure to the King and to the body of Christ. After the Sunday morning service and fellowship over lunch with Tim and Kelly, we began our journey back to Anna’s home in New Port Richey. In that week we also got the chance to minister at Anna’s home church, New Horizons worship centre. 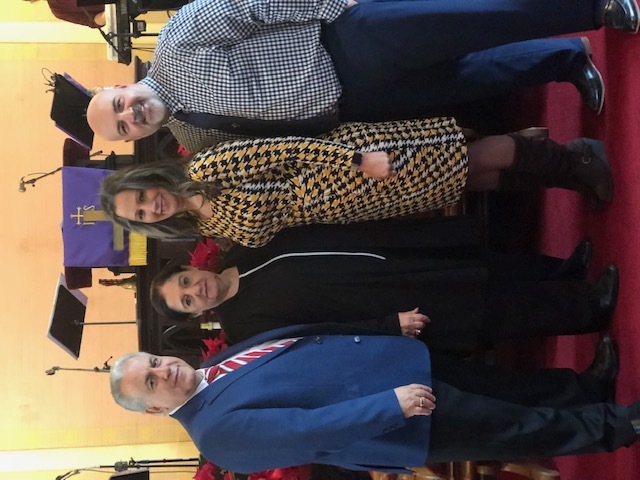 Thank you, Pastor Gabriel, for the invitation and opportunity to minister. A friend for many years, the man of God came with messages that impaled the hearts of our people at House Of Faith! His Saturday messages on “The Realities of Faith” (i.e. How To Develop Your Faith, The Relationship Between Faith & Knowledge, and Faith & Grace) were a boon to those with open spiritual ears. 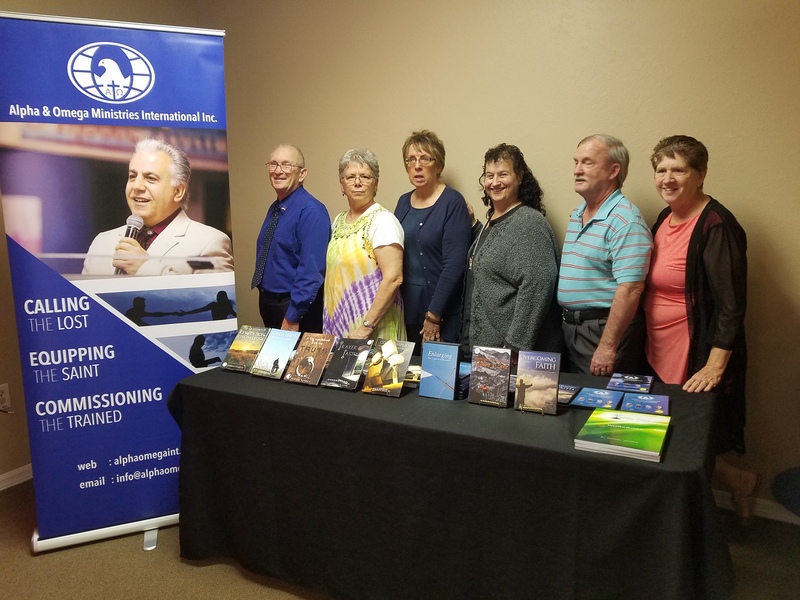 Then on Sunday morning, Andreas shared instructive teaching on “The Law of Increase.” As he finished, he opened the prayer line for those who desired a greater increase in both their spiritual and material lives. Seemingly, the majority of the congregation made their way forward – a confirmation of the anointing and validity of his teaching. We agree and confirm that those teachings have had an immediate impact on numerous individuals including ourselves. We always look forward to Andreas’ visit to House Of Faith! With this visit in March, we were again favoured with Chris, his wife. We enjoyed getting to know her better and hope she returns again. It’s been over 30 years since we first met Andreas when he visited Tarpon Springs, Florida. Our long term knowledge of him and his anointed messages and teachings have always been of great value to the Kingdom! Tuesday the 19th of March we flew from Tampa to Denver Colorado for our last leg of the journey, visiting our dear and longtime friends; Elize van der Westhuizen and Johan, Antonet and Michael Marx. It is important to note that the administration side of our ministry is done from Gypsum, Colorado thanks to Elize, Antonet, and Johann. Elize is responsible for any requests for materials that come to our office and Antonet is responsible for keeping our books in order as she is a skilled bookkeeper and of course as the president, Johann is overseeing the entire administration. 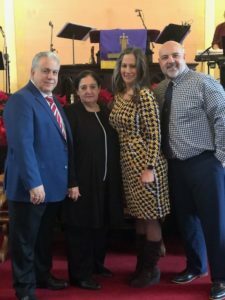 We are grateful to the Lord for giving us faithful family whom we can trust to handle the running of the ministry in the US and see to it that we are compliant with both state and federal government regulations. Our time here in America is almost up and we will be landing back in Cape Town late Friday evening, 29 March. 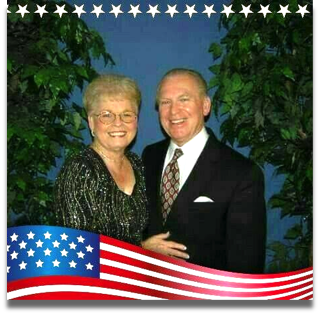 Thank you to all who have kept us in prayer and of course to those cared for and supported us during our stay in the US. A special thank you to Anna Speros who as always ministered to us so graciously by providing us with a base from which we operate in Florida. Also to Marion and her team who provided transportation and support. It is truly appreciated! Till we speak again, God Bless!